Udupi the temple town of Karnataka, has lent its name to the hospitality industry by lending its name to become a cuisine cult “Udupi hotel” most of these that we see today, are the standard cosmopolitan fare that homogenizes various cuisine to create one standard taste. However it is possible to see different cuisines in Udupi it could be the changing Udupi palate or changing Udupi population. Last visit I discovered DesiZaika, that serves authentic northern Karnataka food. Interestingly the owner is specific he is not vending the popular “Dharwad Khanavali” food which is ethnic and generally recognized as the northern Karnataka food. 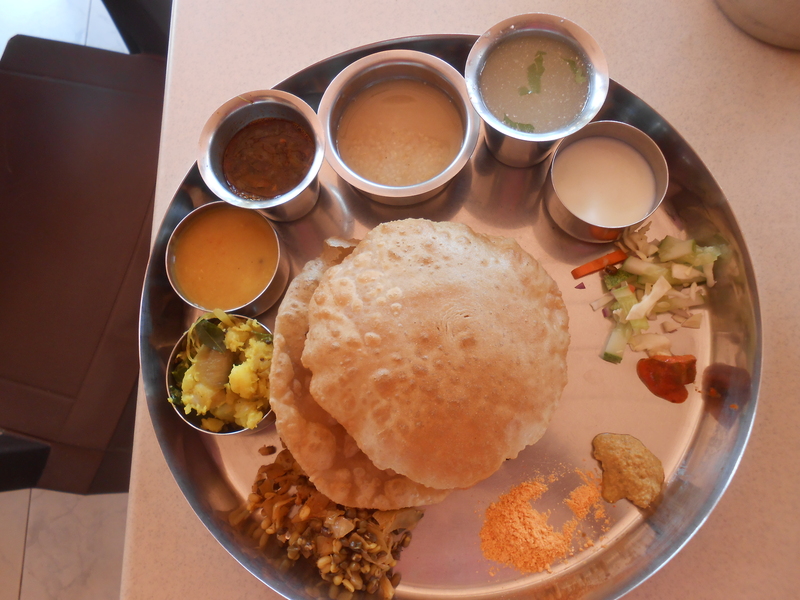 DesiZaika has three thali’s one is authentically the Raichur kind of food. As the Raichur borders Andhra the shadow of the Andhra palate manifests. The spices are stronger than Dharwad; there is also the presence of Rasam, and Sambaar, and absence of “Kodhel” the typical Udupi dish. 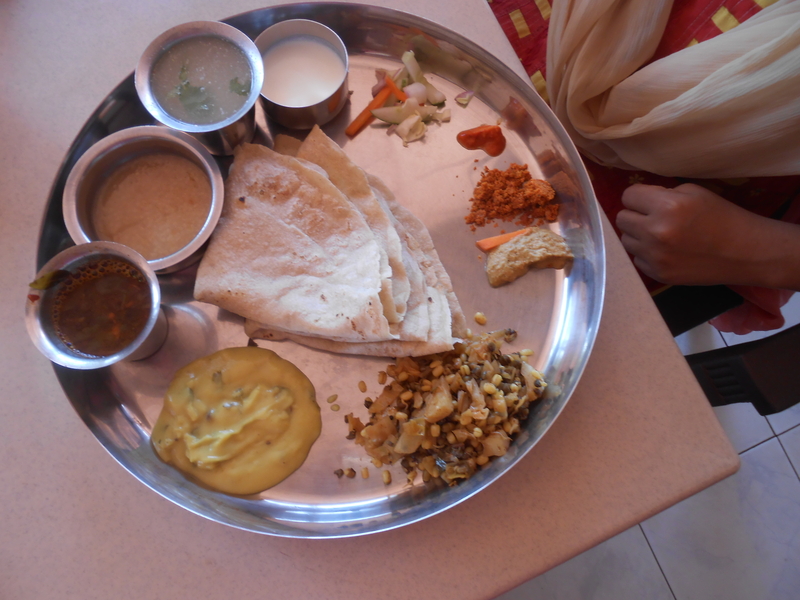 The Raichur thali comes with Baakhri, while the Andhra thali is served with Puri, the northern thali has chapatti. One dry vegetable in all the thali’s. Pulses in the Raichur thali comes as Jhunka, the spicy chickpea flour dish, in the Andhra thali it is the bland pappu, and North Indian thali has the standard north Indian dhal. Mr.Desai the owner sticks to tradition with chutney, salad, papad and sweet dish. The thali serves both curd and chaas. Other than the three staple thali DesiZaika also serves an unlimited version called the DesiZaika special. There breakfast fare is also out of the box with Avalakki, and Thalipeet. I finally found a rival to woodlands Udupi my other favourite non Mitra samaj joint. Previous PostPrevious The Phoenix Rises. Next PostNext Gift of being out balance.